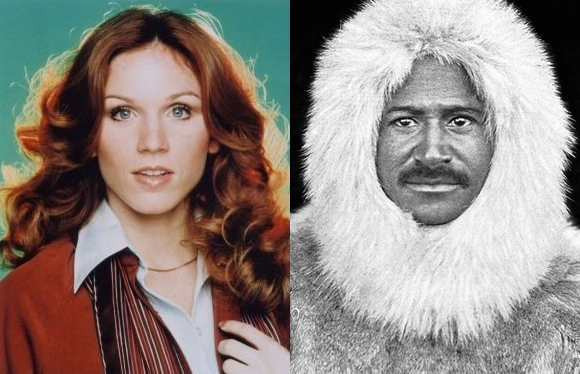 On April 6th, 1909, explorers Robert Peary and Matthew Henson reported reaching the North Pole. Henson was African-American, and Peary has been criticized for not treating Henson as an equal member of the expedition. Baseball executive Al Campanis was accused of making racist remarks on a broadcast of “Nightline” on April 6th, 1987. Campanis was general manager of the Dodgers until the TV interview, when he said blacks “may not have some of the necessities” to be baseball managers. He later said that he meant many blacks might not have the proper experience for the job. Famous baseball stadiums that opened on April 6th include Miller Park in Milwaukee (2001) and Camden Yards in Baltimore (1992). It’s also the birthday of Baltimore native Barry Levinson (1942), who directed the classic baseball movie “The Natural,” starring Robert Redford and Kim Basinger. Cliff Clavin also remembers lots of things, but he’s fictional. John Ratzenberger, who played know-it-all mailman Cliff on “Cheers,” was born on this date in 1947. “Cheers” and “Taxi” aired back to back Thursday nights on NBC in 1982 and ’83, and had a number of producers and writers in common. Two Wisconsin towns called Kilbourntown and Juneautown merged on January 31st, 1846, after years of disputes. They were on opposite sides of a river, and Kilbourntown on the west side often attempted to isolate Juneautown to the east. When the two towns finally became a single city, they named the new community after the river between them: the Milwaukee River. Former Milwaukee Brewers owner Bud Selig was the baseball commissioner who suspended outspoken player John Rocker on this date in 2000. Rocker, a star relief pitcher for the Atlanta Braves, had angered many fans with an interview in Sports Illustrated where he made racist and anti-gay remarks, and said unflattering things about New York City. January 31st is the birthday of the first black ballplayer in the major leagues, Jackie Robinson of the Brooklyn Dodgers (born 1919), and the first black player for the Chicago Cubs, Ernie Banks (1931). And the 3M Company turned a slur against a nationality into a successful brand name when it started selling Scotch Tape on January 31st, 1930. 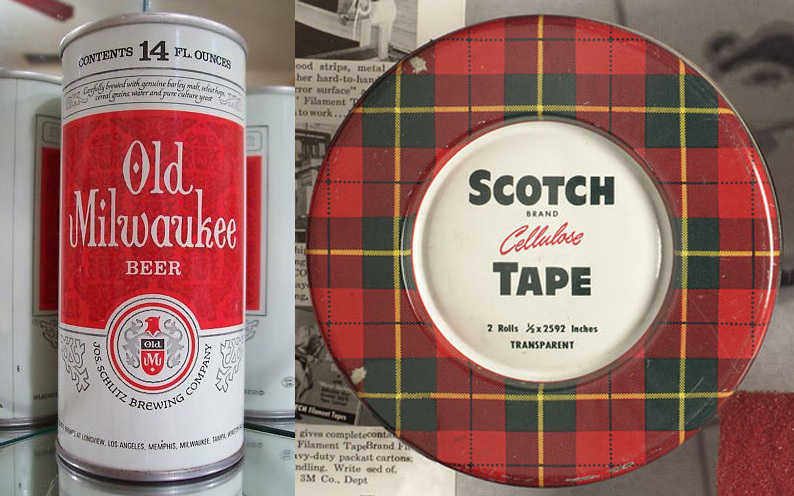 The name “Scotch” came from a customer complaint that 3M put too little adhesive on the tape, in order to save money. Author WilliamsProjectsPosted on January 31, 2019 January 31, 2019 Categories January, Today in history, TriviaTags 3M Company, Atlanta Braves, Baseball, Brooklyn Dodgers, Bud Selig, Chicago Cubs, Ernie Banks, Jackie Robinson, John Rocker, Juneautown, Kilbourntown, Milwaukee, Milwaukee Brewers, New York City, Scotch Tape, Sports, Sports Illustrated, WisconsinLeave a comment on CAN’T WE ALL JUST GET ALONG? In 1845, readers of the New York Evening Mirror got their first look at a new poem by Edgar Allan Poe, called “The Raven” — published in the January 29th edition. 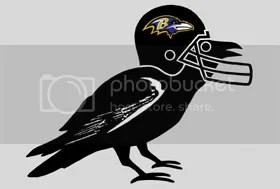 Because Poe lived for many years in Baltimore and is buried there, the Baltimore Ravens football team was named in honor of the poem. Two halls of fame for sports heroes announced their first members on January 29th, in different years. The Pro Football Hall of Fame inducted its first class of 17 legends in 1963…27 years after the Baseball Hall of Fame announced its initial group of five honorees in 1936. Baltimore-born Babe Ruth tied for second place with Honus Wagner in that first baseball hall of fame election, behind long-time Detroit Tigers star Ty Cobb. And January 29th is the birthday of the actor who often wore a Tigers baseball cap in his TV role as “Magnum, P.I.,” Detroit native Tom Selleck (1945). 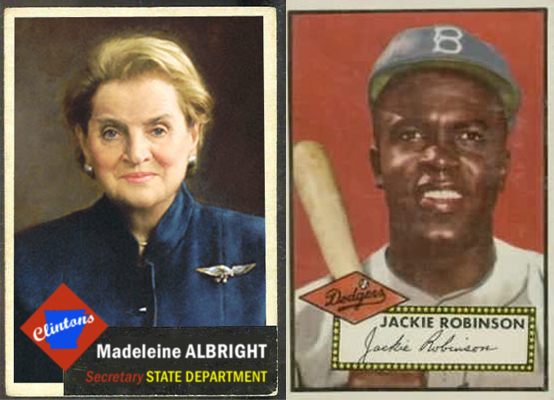 On January 23, 1997, Madeleine Albright became the first member of a very exclusive club when she was sworn in as America’s first female secretary of state. The group of women who have headed the State Department now includes Condoleezza Rice and Hillary Rodham Clinton. The first group of artists to be inducted into the Rock and Roll Hall of Fame received that honor on this date in 1986. Among the first inductees were Elvis Presley, Chuck Berry, Buddy Holly, Little Richard and James Brown – not to be confused with TV sports reporter James Brown or Cleveland Browns football star Jim Brown. O.J. Simpson was in a club all by himself on January 23, 1985. He became the first Heisman Trophy winner voted into the Pro Football Hall of Fame. Another “first” for a hall of fame on this date…Jackie Robinson was the first African-American player elected to the Baseball Hall of Fame on January 23rd, 1962. Prohibition became the law in the U.S. when 36 states ratified the 18th Amendment. That threshold was reached on January 16th, 1919, when five states approved the amendment in one day. The actual ban on alcohol took effect one year later. The beer-brewing Busch family has its name on the home stadium of the St. Louis Cardinals baseball team. Two famous players for the Cardinals were born on January 16th…Jay “Dizzy” Dean (1910) and Albert Pujols (1980). Ethel Merman turned down the chance to star as Dolly Levi in the original Broadway production of “Hello, Dolly!” The musical version of the play “The Matchmaker,” starring Carol Channing as Dolly, opened in New York on January 16th, 1964. When that production closed in 1970, Merman was playing Dolly. Just a month after Pearl Harbor, President Franklin Roosevelt took action on January 12th of 1942 to prevent major industries from shutting down. Roosevelt created the National War Labor Board, to stop strikes by workers at businesses supplying vital materials for the war. It wasn’t Roosevelt that Archie and Edith Bunker wanted to see again, but Herbert Hoover. 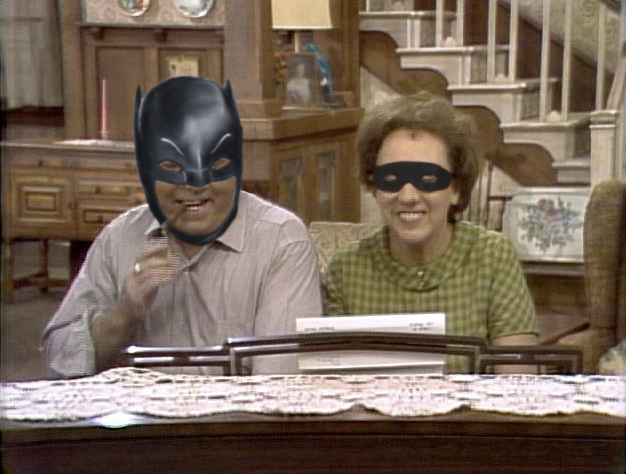 Carroll O’Connor and Jean Stapleton, as the Bunkers, praised Hoover in the song “Those Were the Days” to open the first episode of “All in the Family” on CBS, January 12th, 1971. January 12th was the premiere date for “Batman” on ABC in 1966. For most of its three years on the air, “Batman” was seen twice a week, with a story beginning on the Wednesday episode and building to a cliff-hanger ending to be resolved on Thursday, “same Bat-time, same Bat-channel.” Many stories began with Bruce Wayne/Batman (Adam West) receiving his assignment over the “Batphone” from Police Commissioner Gordon of Gotham City. For 23 years, Kenesaw Mountain Landis was the commissioner of bats, balls, diamonds, and all things related to baseball in the US. Landis, a federal judge, was elected the first commissioner of baseball on January 12th, 1921. And happy birthday to Mr. Freese…not a “Batman” villain, but saxophone player Jason Freese, born on this date in 1975. Freese has performed with Green Day and other popular rock bands.. Famous fires broke out on the shores of Lake Michigan on October 8th, 1871. The deadliest of those fires occurred in Peshtigo, Wisconsin, along Green Bay. As many as 2500 people may have died in the forest fire that destroyed Peshtigo and other communities. The better-known fire of October 8th was the Great Chicago Fire, which claimed about 300 lives and destroyed four square miles of the city. Minister and political activist Jesse Jackson, the founder of Operation PUSH in Chicago, was born October 8th of 1941. Jackson shares a birthday with comedian Darrell Hammond (1955), who impersonated him and dozens of other celebrities during a 14-year run on “Saturday Night Live.” Hammond occasionally imitated SNL announcer Don Pardo on the show, and in 2014, was hired to succeed the late Pardo as the program’s new announcer. Live from New York, baseball fans saw and heard history being made on October 8th, 1956, when Game 5 of the World Series was broadcast from Yankee Stadium. 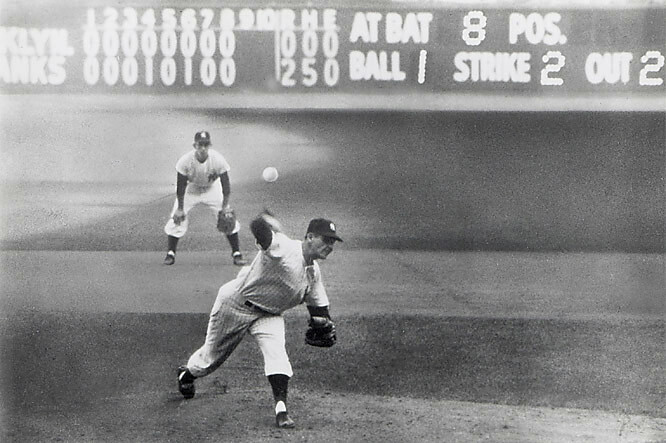 Don Larsen of the Yankees became the first man to pitch a perfect game during a World Series, defeating the Brooklyn Dodgers 2-0.